Picture - The "Caroline Mars" JRM-2 Mars in Navy service. 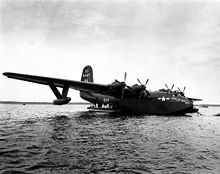 The Martin JRM Mars is a large, four-engined cargo transport seaplane originally designed and built in limited numbers for the U.S. Navy during the World War II era. The surviving aircraft were later converted for civilian use, after the war and their Navy service, as firefighting water bombers. The Mars was the largest Allied flying boat to enter production, although only seven were built. The United States Navy contracted the development of the XPB2M-1 Mars in 1938 as a long range ocean patrol flying boat, which later entered production as the JRM Mars long range transport. 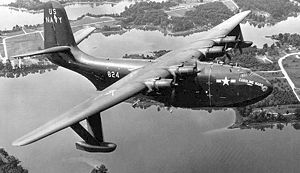 The Glenn L. Martin Company effectively scaled up their successful PBM Mariner patrol bomber design to produce the prototype XPB2M-1 Mars. After flight tests with the XPB2M between 1941 and 1943, she was passed on to the Navy. The original patrol bomber concept was considered obsolete by this time, and the Mars was converted into a transport aircraft designated the XPB2M-1R. The Navy was satisfied with the performance, and ordered 20 of the modified JRM-1 Mars. The first, named Hawaii Mars, was delivered in June 1945, but with the end of World War II the Navy scaled back their order, buying only the five aircraft which were then on the production line. Though the original Hawaii Mars was lost in an accident on Chesapeake Bay, the other 5 Mars were completed, and the last delivered in 1947. Named the Marianas Mars, Philippine Mars, Marshall Mars, Caroline Mars, and a second Hawaii Mars, the 5 production Mars aircraft entered service ferrying cargo to Hawaii and the Pacific Islands. The last production airplane (the Caroline Mars) was designated JRM-2, powered by 3,000 hp (2,200 kW) Pratt & Whitney R-4360 engines, and featured a higher maximum weight and other improvements. 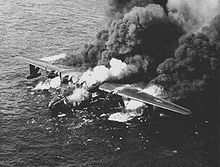 On 5 April 1950, the Marshall Mars was lost near Hawaii when an engine fire consumed the airplane after her crew had evacuated. The remaining "Big Four" flew record amounts of Naval cargo on the San Francisco-Honolulu route efficiently until 1956, when they were parked at NAS Alameda. In 1959, the remaining Mars were to be sold for scrap. Dan McIvor, who represented a consortium of British Columbia forest companies, recognized their potential value as water bombers. A company called Flying Tankers Inc. was formed, and purchased and converted the "Big Four" for aerial firefighting. The Marianas Mars crashed near Northwest Bay, British Columbia on 23 June 1961 during firefighting operations; all four crewmembers were lost. Just over a year later, on 12 October 1962, the Caroline Mars was destroyed by Typhoon Freda while parked onshore. The Hawaii Mars and Philippine Mars had their conversions to water bombers accelerated and entered service in 1963. They appeared at local airshows, demonstrating their water-dropping ability. Flying Tankers Inc. also flew the water bombers to other hot spots around the province when a need developed, such as in August 2003, when a large forest fire threatened the city of Kelowna, British Columbia. On 10 November 2006, TimberWest Forest Ltd. announced that they are looking for buyers of the Mars. A condition of this sale was that the purchasers would have to donate one back to Port Alberni when they are retired, as a historical attraction. The Maryland Aviation Museum and British Columbia Aviation Council have initiated a joint effort to preserve the aircraft, one in Maryland and the other at their current location in Canada. On 13 April 2007, TimberWest announced the sale of both aircraft to Coulson Forest Products, a local forestry company in Port Alberni, British Columbia. The two surviving tankers are based at Sproat Lake near Port Alberni. On 25 October 2007, the Hawaii Mars ("Redtail") arrived at Lake Elsinore in Southern California, on a private contract, to assist with the firefighting efforts containing the California wildfires of October 2007. The Philippine Mars is undergoing "extensive maintenance and renovation" and will not be ready to fly again until 2010. As of 13 August 2009 (2009 -08-13), the Hawaii Mars was in service fighting the La Brea fire east of Santa Maria in Southern California. Based on historical data, each plane can make a drop every fifteen minutes. Working in tandem, this equates to 7,200 US gallons (27,276 litres) every seven minutes and each drop can cover an area of up to 4 acres (1.6 hectares). 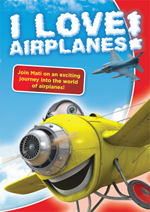 The aircraft can also carry up to 600 US gallons (2,270 litres) of foam concentrate for gelling the load drop. They are used to fight fires along the coast of British Columbia and sometimes in the interior. 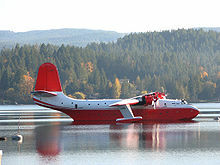 As of July 29, 2010, the Martin Mars was being used to fight the Mason Lake/Bonaparte Lake fire north of Kamloops. XPB2M-1 Model 170 prototype long-range patrol flying boat powered by four Wright R-3350-8's piston engines, one built, converted to XPB2M-1R. Prototype converted in December 1943 as a prototype transport version, armament removed, installation of additional cargo hatches and cargo loading equipment, existing hatches were enlarged and the decking was reinforced. Model 170A, production long range transport variant, originally 20 aircraft ordered later reduced to 6. Single-tail design, and having a longer hull with fewer bulkheads and a larger maximum take-off weight. It had also been fitted with equipment for overhead cargo handling and was powered by four Wright R-3350-24WA Cyclone engines with 4-bladed propellers, five built, surviving four converted to JRM-3. The last JRM-1 on order was completed as the JRM-2 with the engines changed to 3,000hp Pratt &amp; Whitney R4360-4T engines with 4-blade, 16ft 8in diameter Curtiss Electric propellers. Gross weight increased by 20,000 lbs. Model 170B, conversion of the remaining four JRM-1s re-engined with 2,400hp Wright R3350-24WA engines turning 16ft 8in Curtiss-Electric props, of which the inboard two engines were fitted with reversible-pitch devices. The Old Lady - serial Bu 1520. Ordered on 23 August 1938 and completed as the prototype long-range patrol XPB2M-1. 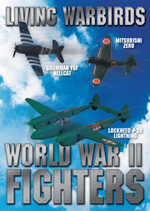 First flown 3 July 1942 and converted in December 1943 to transport variant and designated XPB2M-1R. Assigned initially to VR-8 (NAS Patuxent River) for crew training and was later transferred to VR-2 (NAS Alameda). Scrapped in 1945. Hawaii Mars I - JRM-1 Bu. 76819 first flown 21 July 1945 and delivered to the United States Navy. 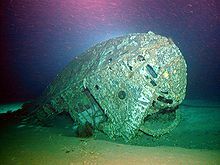 Sank on 5 August 1945 in Chesapeake Bay and disposed as scrap. Philippine Mars - JRM-1 Bu. 76820, delivered to the USN on 26 June 1946 and assigned to VR-2 (NAS Alameda). Converted and re-designated JRM-3. Withdawn from service on 22 August 1956 and sold in 1959. Converted to forest fire fighting aircraft and registered CF-LYK (later C-FLYK) - still flying with Coulson Group at Sproat Lake, British Columbia, Canada. Marianas Mars - JRM-1 Bu. 76821, delivered to the USN on 26 February 1946 and assigned to VR-2 (NAS Alameda). Converted and re-designated JRM-3. Withdrawn from service on 22 August 1956 and sold in 1959. Converted to forest fire fighting aircraft and registered CF-LYJ - Crashed into Mount Moriarty near Nanaimo, Vancouver Island 23 June 1961 killing crew of 4. The water drop mechanism failed, leaving aircraft unable to climb quickly enough to clear a mountain. Hawaii Mars II - JRM-1 Bu. 76823, delivered to the USN 23 April 1946 and assigned to VR-2 (NAS Alameda) Converted and re-designated JRM-3, Withdrawn from service 22 August 1956 and sold in 1959. Converted to forest fire fighting aircraft. Registered CF-LYL (later C-FLYL) - still flying with Coulson Group at Sproat Lake, British Columbia, Canada. Caroline Mars - * JRM-2 Bu. 76824, delivered to the USN 10 May 1948 and assigned to VR-2 (NAS Alameda) Sold in 1959. Converted to forest fire fighting aircraft by Forest Industry Flying Tankers. Registered CF-LYM. Destroyed during Typhoon Freda at Victoria, Canada 12 October 1962. Bridgeman, Leonard. “The Martin Model 170 Mars.” Jane's Fighting Aircraft of World War II. London: Studio, 1946. 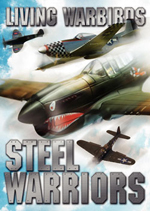 ISBN 1-85170-493-0. Ginter, Steve. Martin Mars XPB2M-1R & JRM Flying Boats (Naval Fighters 29). Simi Valley, California, USA: Ginter Books, 1995. 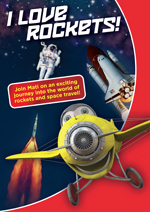 ISBN 0-94261-229-9. Martin JRM Mars Pictures and Martin JRM Mars for Sale.